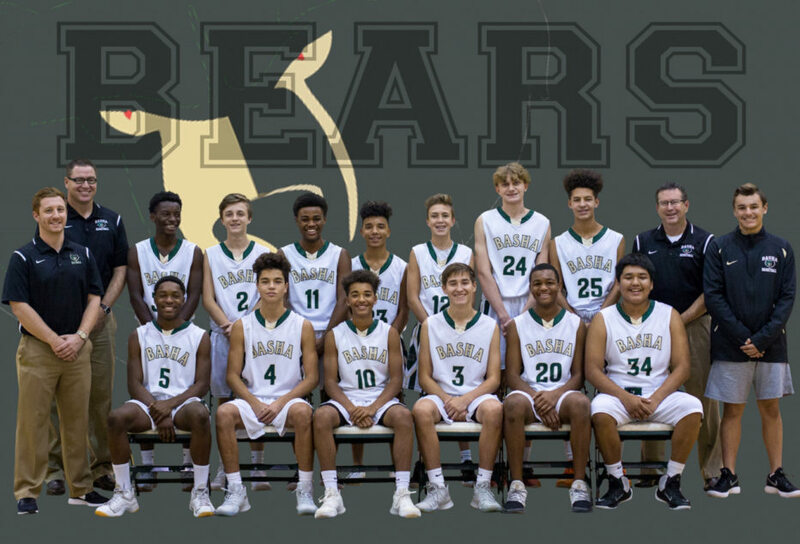 CHANDLER, Ariz. – Just seven months ago, the Basha High School boys basketball team hoisted the gold ball trophy after defeating Corona del Sol in the 6A Conference state championship game. In capturing the title, five starting seniors fulfilled a promise they made four years earlier to coach Mike Grothaus. 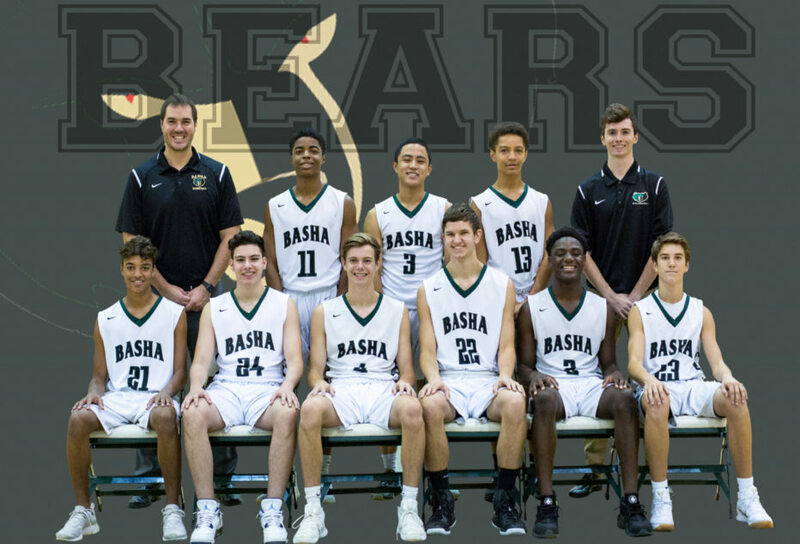 From the time they arrived at Basha as freshmen, the group vowed it would bring home a state title in its senior season. 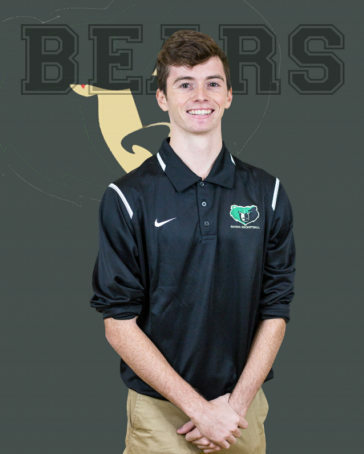 Losing nine seniors and returning only two varsity players, both of which were not starters, the Bears have their work cut out for them this season. Grothaus is tasked with determining a new starting five and placing his players in a position to be successful. Senior Jared Paulus admits it was difficult to lose so many seniors, mainly because last season’s team gelled so well together. Even with a virtually brand-new roster, Paulus and his team have their sights set on grabbing another state title this year. The legacy left behind, framed around a dedication to excellence on and off the court, motivates the Bears to accomplish those goals. Perhaps the greatest tangible reminder is the addition of the state championship banner now hanging from the rafters in the gymnasium. With that banner comes an expectation. This season, seniors Paulus Bryan Baptiste and Mason Sorensen are aware of the standard they are being asked to uphold. With state championship experience under their belts, these seniors understand what it takes to make it to that elite stage. Planning to follow the path paved by the seniors of the past, Paulus is determined to be a leader on this team. “There’s a lot of younger guys, so leading them and setting a good example for the whole team is my goal,” Paulus said. Grothaus encourages his athletes to work on many aspects of their game, but one thing he continuously preaches is defense. 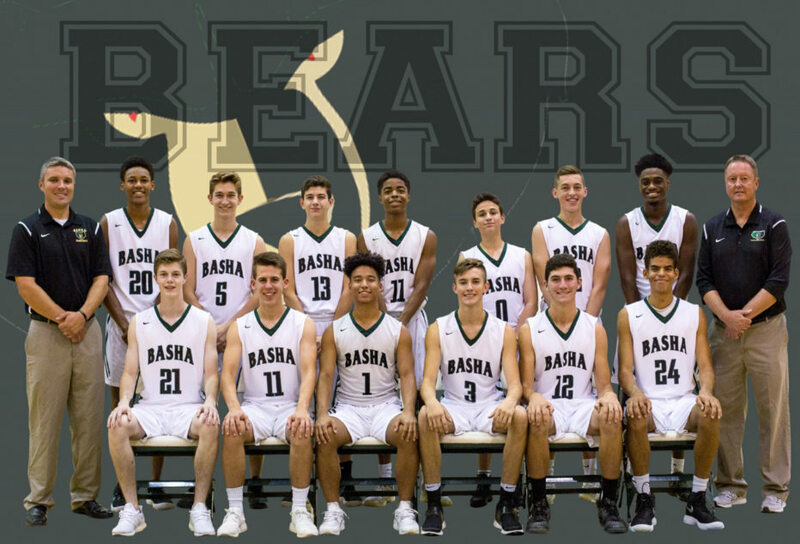 If Basha boys basketball was a term in the dictionary, defense would be its most basic definition. Scoring points can be exciting, but Grothaus and his players alike acknowledge the impact defense can have on the outcome of a game. 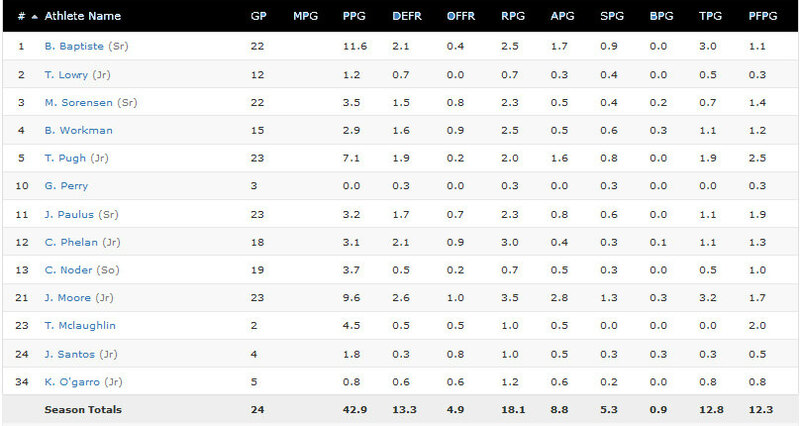 These fundamentals are something this team can rely on throughout the season, even with such a young roster. Grothaus said that his team can only hold onto “inexperience” for so long, and now these players are expected to prove themselves. The Bears’ regular season begins on November 28 when they take on Queen Creek. 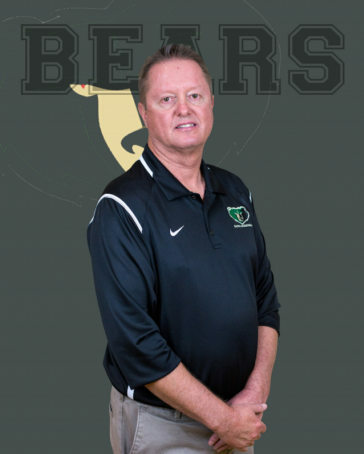 Coach Grothaus is entering his sixth season as the head basketball coach of the Basha Bears. 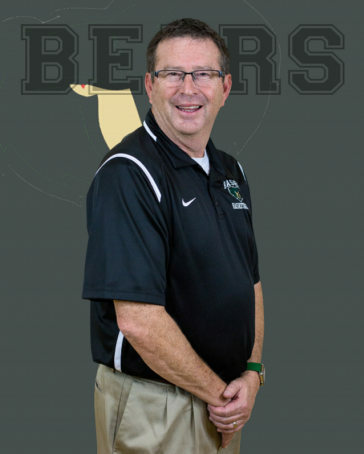 As head coach of the Bears, Coach Grothaus currently has an overall record of 93-51. The Bears won the State Championship in 2017 and were also the Premier Region Champions that same year. Prior to the championship season, the Bears made it to the semifinals of the state tournament. Coach Grothaus was named the 6A Coach of the Year as well as Premier Region Coach of the Year in 2017. Prior to coming to Basha, Coach Grothaus was the head assistant coach for Sam Ballard and the Thunderbirds of Mesa Community College. In his 5 years there, he was responsible for recruiting, scouting, game preparation, practice planning and strength and conditioning. 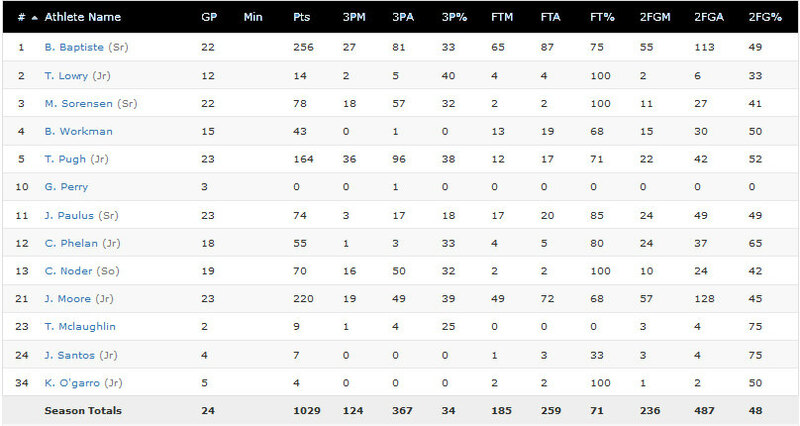 During the 2009-10 season the Thunderbirds held an overall record of 25-7 and 19-3 in the ACCAC. They were crowned Region I champs and made it to the District I Championship game. In high school, Coach Grothaus played for legendary coach Tom Bennett. 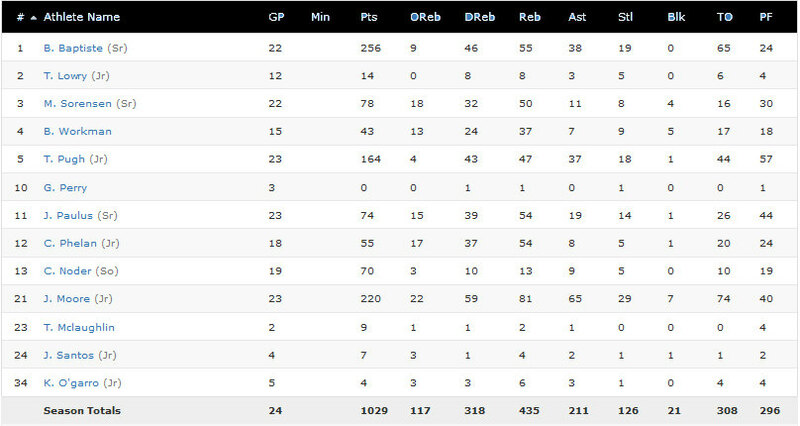 In 2003, which was his senior year, his team went 31-3 and won the State Championship defeating Desert Vista 56-51. Coach Grothaus played his freshman year of college at Jamestown College in North Dakota and then transferred to Grand Canyon University where he played his last 3 years of college basketball. During his senior year, they were Pacific West Champions and made it to the second round of the National Tournament. He earned a Bachelor’s Degree in Exercise Science and a Master’s Degree in Secondary Education. Coach Grothaus married his college sweetheart, Vanessa Grothaus, on April 12, 2013 and they now have two children, a daughter Elizabeth, and a son Benjamin. They will be having their 3rd child in December. Coach Moeller grew up in Iowa and attended college in South Dakota. After graduating college, he headed south to Arizona to pursue a teaching and coaching career. 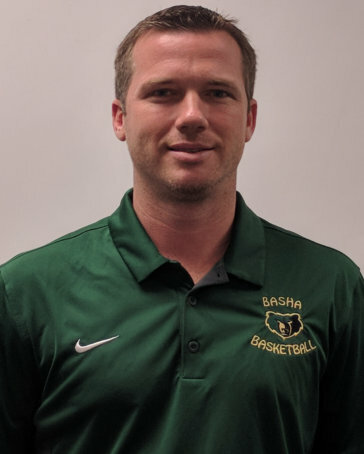 This is Coach Moeller's first year on the Basha basketball staff and he is looking forward to helping continue the tradition of success at Basha High School. This is Coach McCabe's third year being a member of Coach Grothaus staff and he couldn't be more excited to be here. Coach McCabe has known Coach Grothaus for nearly 20 years. Coach McCabe and Coach Grothaus grew up playing for all of the same coaches and feel they have a mutual vision for the principles and system they teach. This is Coach Schiche’s second year as a member of Coach Grothaus’ staff. He is excited to be a part of the staff and contribute in any way he can. He originally grew up in Wyoming playing basketball, football, and soccer all 4 years of high school. Coach Schiche was married to his wife Haylee in May of 2015. 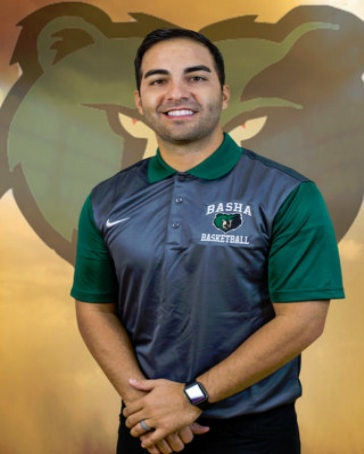 This is Coach Hastings' third season as a boys’ basketball coach at Basha High School. He is a third generation native Arizonan having spent his entire life in Queen Creek and Chandler. 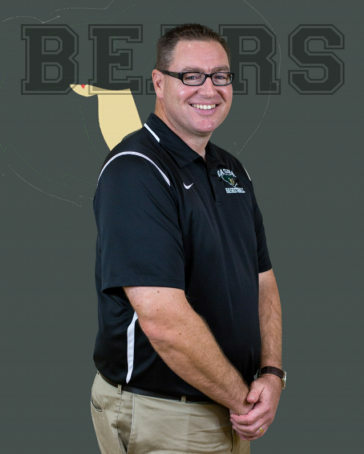 After graduating from Chandler High School in 1993, Coach Hastings received his BA in Secondary Education from Arizona State University in 1997 and his MA in Education Leadership from Northern Arizona University in 2003. He taught social studies for seven years at Chandler High School (1999-2003), Gilbert High School (2004) and Hamilton High School(2015). He has been managing his family's capital investment and real estate business since 2004. This will be Coach Hastings’ 23rd season coaching high school boys' basketball at various levels including 10 seasons as an assistant coach at Chandler High School, 5 seasons as an assistant coach at Gilbert High School, 1 season as the head coach at Apache Junction High School and 4 seasons as an assistant coach at Hamilton High School. He feels very fortunate to have played and coached under some great Arizona basketball coaches including Joe Partain, Tom Bennett and Kevin Hartwig. 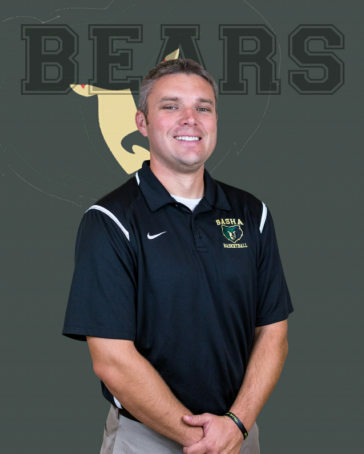 Coach Hastings is appreciative for the opportunity to work for varsity head coach Mike Grothaus and to serve the students, school, and community of Basha High. Justin’s family includes his wife of 19 years Nicole and their children: Thomas (16), Emily (13) and Andrew (10). 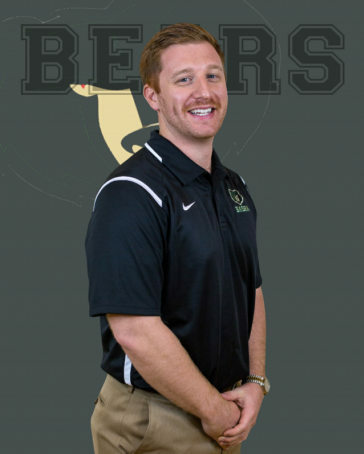 This is Coach Noder's third year as a member of Coach Grothaus' staff at Basha High School and he is excited to begin another season. Coach Noder grew up in Chandler and is a native of Arizona. Coach Noder previously coached basketball at Hamilton High and Kyrene Junior High. He has also coached for the East Valley Rebels and East Valley Grizzlies. Coach Noder has coached many different age groups, helping young players develop fundamental skills and a love of the game. Coach Noder is an Army veteran and former Mesa police officer. He has been married to his high school sweetheart, Annie, for over 22 years and has two sons, CJ and Joey who both attend Basha High. 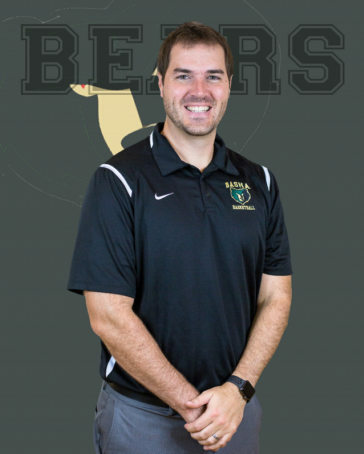 Coach Noder is looking forward to a great year of Bears' Basketball. This is Coach Burns' first year as a member of Coach Grothaus' staff. Coach Burns hails from Sioux Falls, SD but has lived in the Phoenix area for 3 years. He holds a Bachelors of Science in Communication Studies from the University of South Dakota, and a Masters in Education from the University of Sioux Falls. In addition to coaching he'll be teaching English at Basha. Coach Burns previously spent time coaching freshmen boys basketball at Cesar Chavez High School in Laveen, AZ. Before moving, he coached junior high boys' basketball in Sioux Falls, SD. Also, Coach Burns was a varsity assistant at his alma mater, Sioux Falls Bishop O'Gorman High School. The team won the 2013 Class AA South Dakota state title. Coach Burns and his girlfriend, Regan, have been dating for a year and a half and will be moving to Chandler in the fall.